Unless you’ve been living on another planet for the last 24 hours you’ll know that last night Ireland beat Italy 1-0. During the match there was, as usual, a lot of activity on social media. 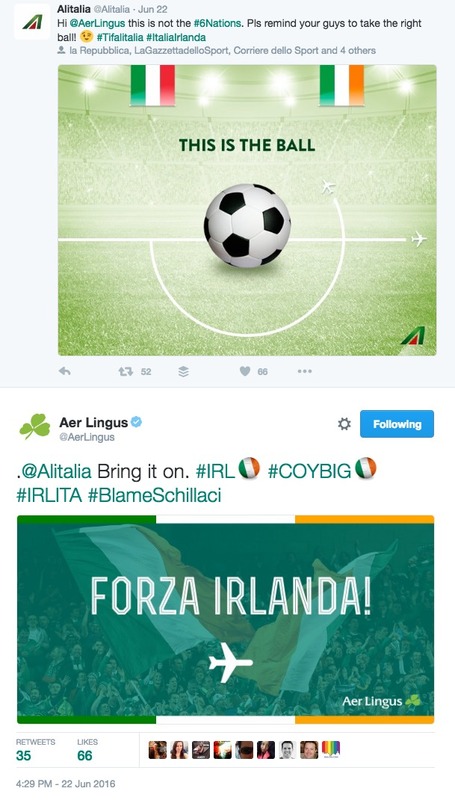 One of the more amusing Twitter exchanges was between Ireland’s Aer Lingus and Italy’s Alitalia. Ireland plays France next Sunday afternoon in Lyon, so will we see as much banter between Air France and Aer Lingus? Remembering Herbert Simms: Does History Have Lessons for Ireland’s Housing Crisis?